Apple’s October event just ended in New York City and we saw the unveiling of a number of products and updates. In reality, we heard a lot of rumors and speculation hinting at what Apple might introduce prior to the event. However, there were still some surprises at this year’s event that would satisfy Apple fanatics out there. Apple was previously expected to announce a new iPad Pro at the event. In reality, Apple’s iPad lineup is lagging behind Android-based tablets on the market and Apple needs something to boost its tablet sales. We were also expecting to see a new MacBook Air and a handful of macOS updates. In this article, we have created a list of everything Apple announced at the company’s October event. For some background, Apple’s October event took place at Howard Gilman Opera House in New York City. If you missed the show, then make sure you check out the section below. Apple MacBook Air was first debuted ten years ago and quickly gained its popularity on the market. The original Air laptop really stood out thanks to its premium design and smooth performance. However, things have changed so much since the launch day and the Air series is falling behind its competitors or even its Pro siblings. In reality, rumors regarding the next generation MacBook Air have been out there for months, giving us a quick look at what’s coming into the new tablet. At the October event, the new MacBook Air took the center stage with a huge hardware upgrade. In reality, the Air lineup has not received a notable under-the-hood improvement in recent years, so it’s time for a change. Specifically, the new MacBook Air retains the same design language we have already seen on its previous models. However, the laptop is now thinner and lighter than its predecessors as it weighs only 2.75 pounds. Under the hood, the new Air uses the 8th gen Intel dual-core processor, coupled with 8GB or 16GB of RAM, which marks a significant upgrade over the 2017 model. One of the biggest additions to this year’s MacBook Air lies in its Retina display. 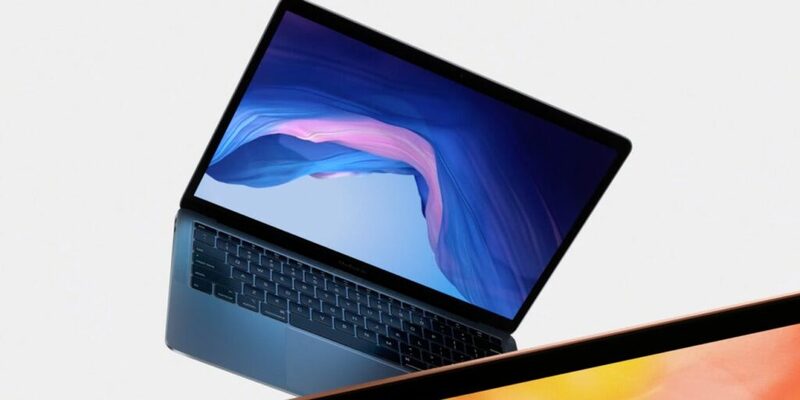 In reality, 2018 MacBook Air is the first in the lineup with Apple’s Retina technology. The adoption of Retina display allows for a much-improved picture quality and more details. Besides, the new Air model features Touch ID for quick unlock and authentication, and stereo speakers. Apple claims that the new MacBook Air starts at $1,199 for the model with Retina display, Touch ID and 128GB of storage. And you can pay more cash if you are looking for an Air model with 16GB of RAM. 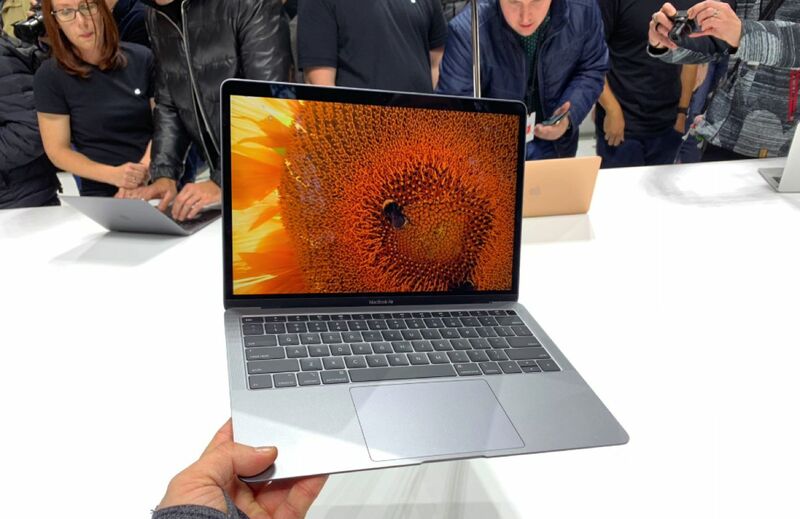 The new MacBook Air will hit retail stores on November 7 and is expecting to be a giant hit at this year’s holiday season. Apple’s iPad lineup has been showing signs of slowing down in recent years. Back in March, Apple unveiled a new 9.7 inch iPad to replace the Air 2 on the market, but the new iPad mainly targets students out there thanks to its affordable price tag. The 9.7 inch iPad marks the first standard Apple’s tablet with Apple Pencil support. For some background, Apple Pencil is one of the best highlights of the iPad Pro. Apple’s advanced stylus allows you to take notes or stretch your ideas on your iPad’s screen. We heard a lot of speculation that Apple might unveil a much-improved Apple Pencil at the event, but it was nowhere to be found. This year’s iPad Pro brings with it a lot of design changes when compared its predecessors. Specifically, the new tablet keeps up with Apple’s latest design trend with no home button and no headphone jack. 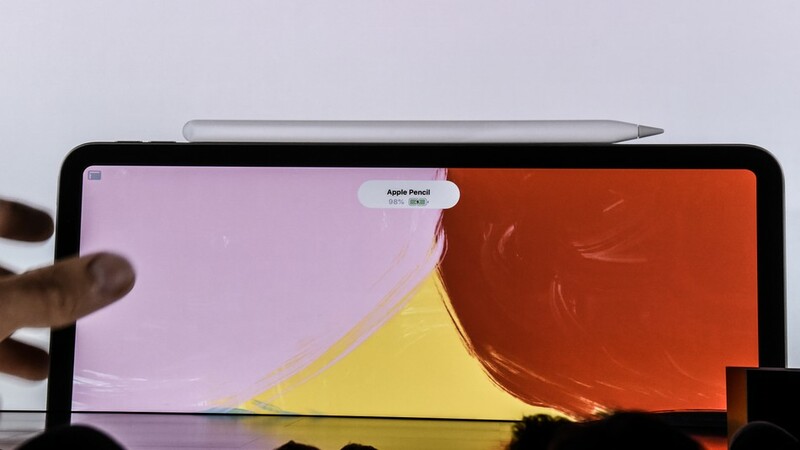 The new iPad Pro is now smaller and thinner than its previous models. Apple says that the new tablet has 25 percent less volume than the iPad we already saw out there. Under the hood, the new iPad Pro is fueled by a seven-core GPU and A12X Bionic processor for better processing power. In reality, the new iPad can handle every heavy task you throw at it in the blink of an eye. Apple says that 2018 iPad Pro is up to 92 percent faster than portable PCs on the market. The new iPad Pro costs $799 for the 11-inch model and $999 for the 12.9-inch model. The 11-inch iPad Pro is now available for pre-order and the release date is set for November 7th. Apple says that the 12.9-inch model will hit stores in November, but it remains unknown when exactly we are seeing it. Mac Mini has not received a major update in recent years. 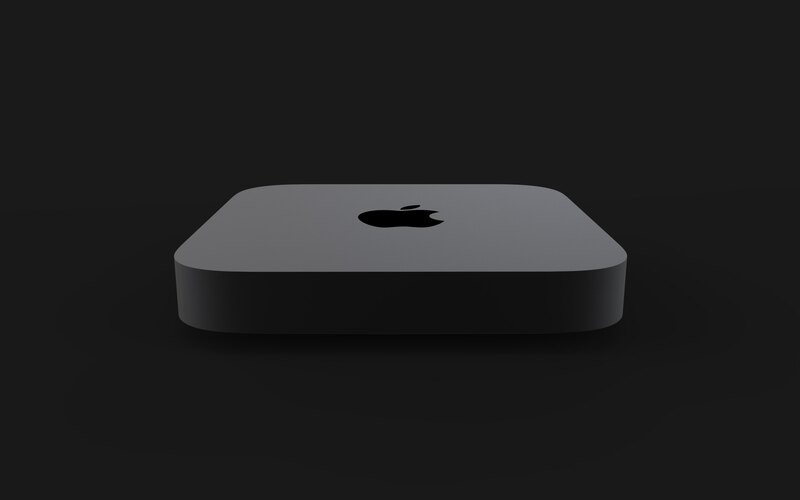 Earlier this year, sources said that Apple might discontinue the Mac Mini, instead, focusing on new models. At this year’s October event, Apple announced the next generation Mac Mini with everything we expected to see. Specifically, the new Mac Mini features a quad-core processor, coupled with up to 64GB of RAM under the hood. The device has a full set of connectivity ports including one Ethernet ports and four Thunderbolt ports. The new Mac Mini will come in a new Space Gray color option and starts at $799. What do you think of the new iPad Pro? Let us know in the comments below.